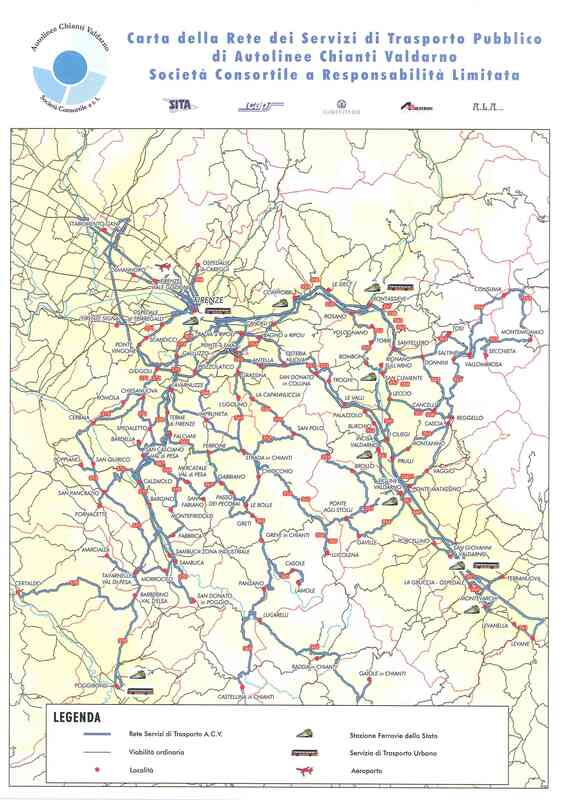 For a big map of public transport bus routes in the Chianti Valdarno region of Italy (mostly south of Firenze/Florence), click the thumbnail map below. This opens a new window. The map is a little old, but up-to-date timetables for each line are available at the website of the bus company, ACV – Autolinee Chianti Valdarno. (Scroll down to find the bus line you want). The timetable language shouldn’t be a problem, but if there’s a word you don’t understand, consult this short Italian-English glossary for bus timetables, or just use an online translator like Google Language Tools.